Minnesauke Elementary School students and staff in the Three Village Central School District are regularly committed to engaging in initiatives geared toward giving back their community. 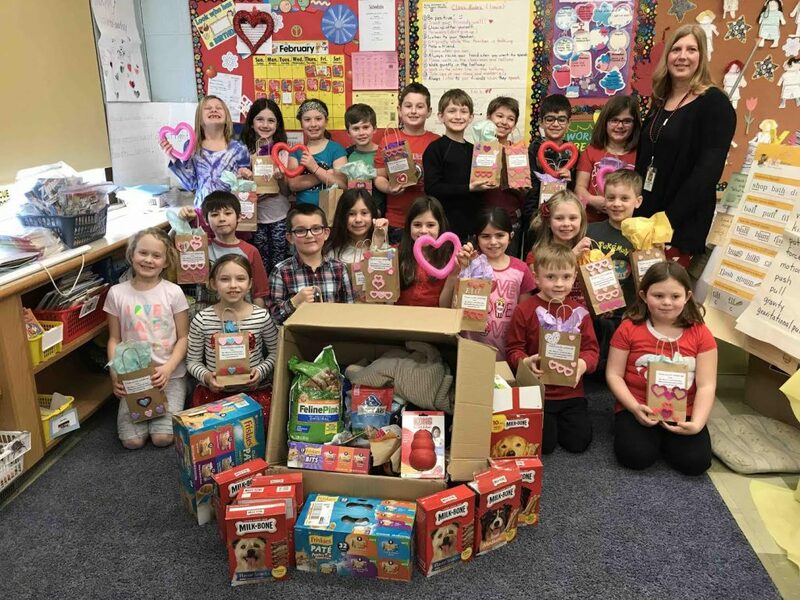 Most recently, second-graders in Maria-Elena Mazza’s class teamed up with the sixth-graders in Melissa Flanagan’s class to create gift bags for Save-A-Pet. As part of the initiative, the students created thank-you notes to those adopting pets from the establishment and collected many donations for the organizations. Photo caption: Minnesauke Elementary School second-graders in Maria-Elena Mazza’s class teamed up with the sixth-graders in Melissa Flanagan’s class to create gift bags for Save a Pet.